TAIPEI, Taiwan (January 18, 2018)– iXensor, the maker of the PixoTest® platform that enables multi-biomarker testing through a smartphone, announced today that its ovulation product, Eveline Smart Fertility System, has won the Best of Baby Tech Awards in Fertility and Pregnancy in CES 2018. 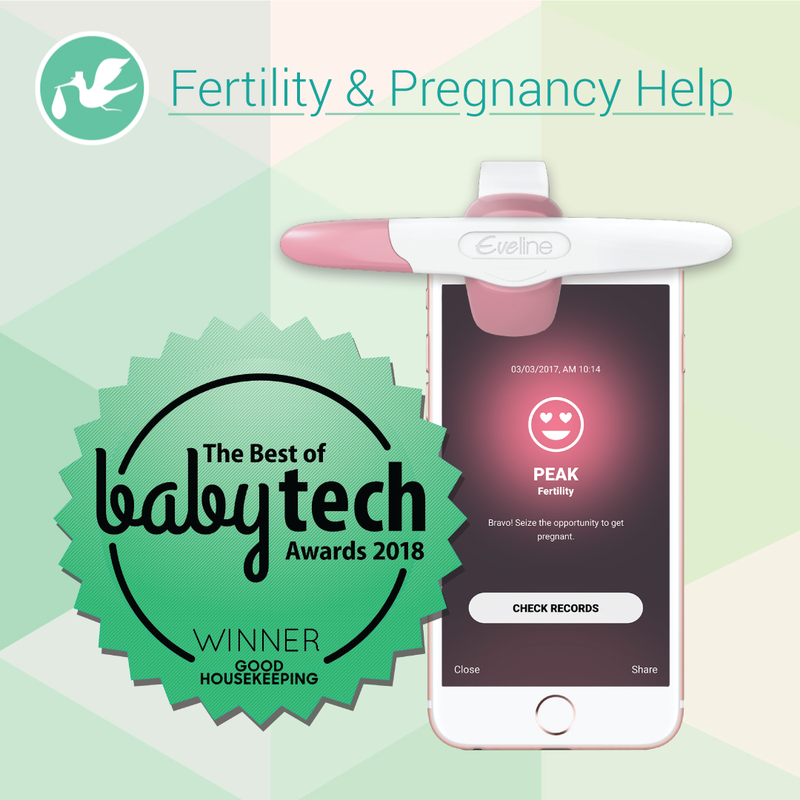 The Best of Baby Tech Awards recognizes outstanding advancements and achievements in fertility, pregnancy and baby technology products from around the world. Winners are selected based on a competitive selection process and a combination of esteemed judges, including a group of experts from the Good Housekeeping Institute, and online voting. Figuring out the specific fertile dates can be difficult, not to mention stressful. Eveline Smart Fertility System consists of an Ovulation Test Kit, a validated ovulation prediction algorithm, and a fertility tracking app. Its patented technology uses the front-facing smartphone camera and light to measure changes in color when test strips are exposed to luteinizing hormone, a key marker of ovulation. The proprietary algorithm software turns that data into a simple snapshot of the fertility status with 99% accuracy. Eveline Smart Fertility System removes the guesswork. The Eveline app is compatible with iOS and Android devices. It securely stores all test results which are also used to build a personalized fertility profile, identifying the fertile days in the upcoming cycle. A push notification system of the app will send reminders of upcoming tests based on this personalized data. Women can then fully plan with their partners for the best times to conceive. Eveline is registered with the U.S. Food and Drug Administration to accurately track women’s fertility. It is available to purchase on Amazon. iXensor is devoted to developing the hardware and software system for women’s health and chronic disease management. Eveline is part of the family of biomarkers available on the PixoTest® platform, which includes the ability to measure and track glucose, lipids, HbA1c and a variety of other biomarkers through a single smartphone for a seamless and integrated approach to personal and community healthcare.